This mould has been made using the latest 3D printing technology for precise letter shapes and a smooth finish. 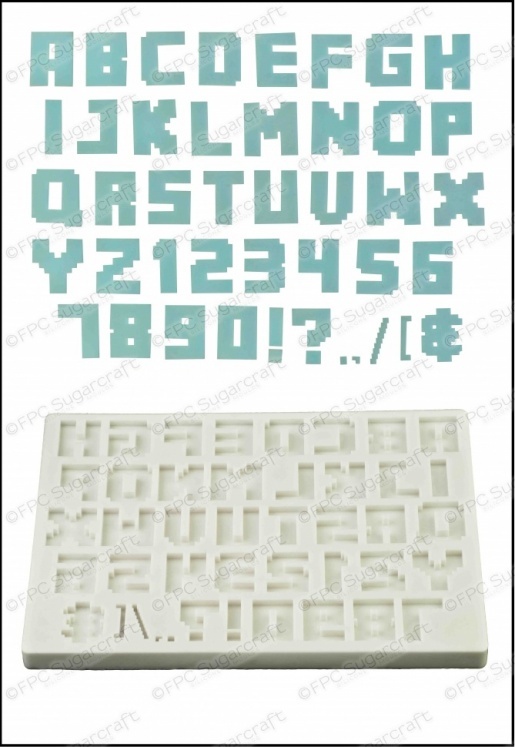 The pixellated typeface is perfect for Minecraft, Lego, and other gaming themed cakes. Included are all letters A-Z, numbers 0-9 and punctuation. Letters and numbers are all 20mm in height and 3mm in depth.